And Here We Go! : A Big Announcement! Christmas is getting closer every day! To help add some joy to your busy December, we're having a big, blow-out giveaway event! Beginning December 1 and ending Christmas Eve (that's like the whole month! Eeeek! ), I'll be giving away a prize just about every other day! I say 'just about' because I'm still finalizing the schedule; updates will be posted closer to the beginning of this amazing event! When I started sending out emails asking people if they'd like to participate in this Christmas giveaway event, I had no idea what kind of responses I would get, if any! To my surprise, the people behind these big names are, well, real people who want to share in the joy of giving back this time of year. How awesome is that! 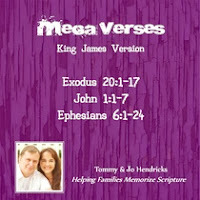 Mega Verses - Click here for this giveaway! 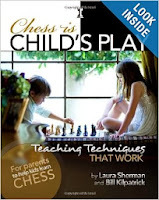 Check out my review of this awesome book by clicking here! I'll do another post closer to December letting you know of everyone's prizes and the dates each giveaway will start. Thank you to all the sponsors; you are so generous! I hope you'll join me December 1 as we begin My Favorite Things: A Merry Christmas Giveaway Event!